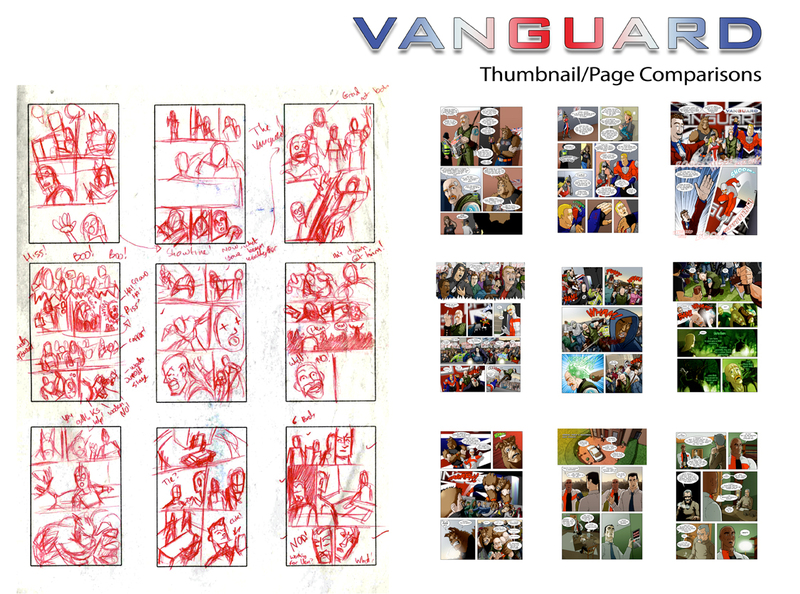 Thought I’d once again let you have a peek behind the scenes with a thumbnail to page comparison. I’ll change these sometimes, depending how it looks on page, but I usually stick with the layout. 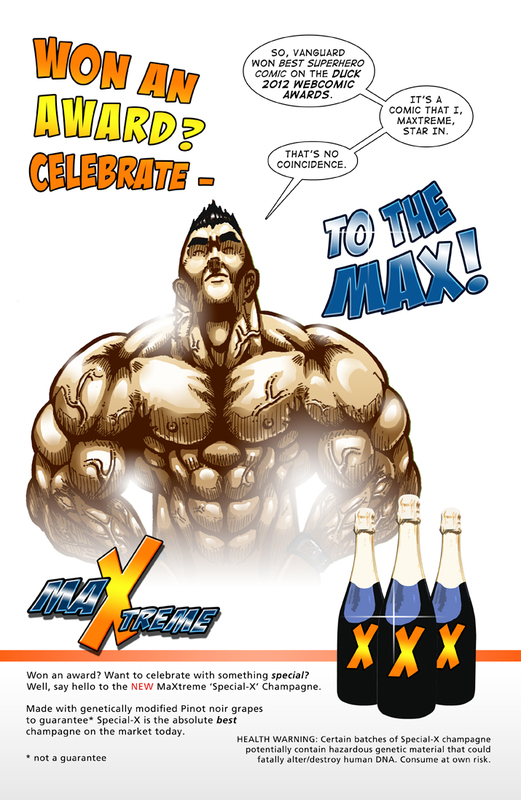 Vanguard won ‘Best Superhero Comic 2012’ in the Duck webcomic awards. It’s a great honour to be chosen out of so many quality titles. I’d like to take the time to thank all you readers who voted for me and the title. I’ll endeavour to keep up the hard work and take Vanguard from strength to strength. I was recently interviewed by Megan Markey over at Read Comicbooks about my work on Vanguard. It was a great experience and Megan asked some insightful questions, the answers to which should give you a glimpse behind my work/thought process on the comic. Go have a read and tell me what you think! Occasionally, I offer sketches out on Twitter on a first come-first served basis. It’s a good way of picking up followers and you have to be ready to draw anything that is requested of you! 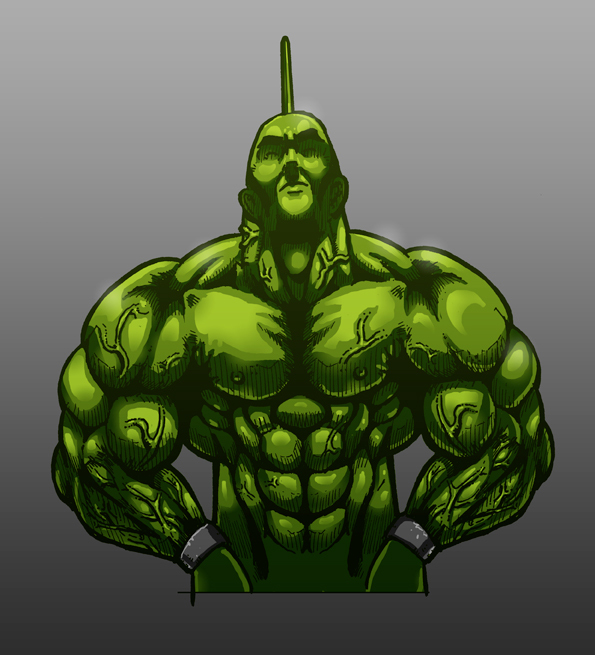 A Savage Dragon picture I drew & coloured for fun. I loved reading this comic when I was younger. I have fond memories of being taken out with my brother for a trip to London by my aunt. We tracked down the Forbidden Planet store, which seemed a tad intimidating at the time, and bought The Savage Dragon trade paperback (I’d already collected the mini-series). Jeez, that was about 20 years ago!